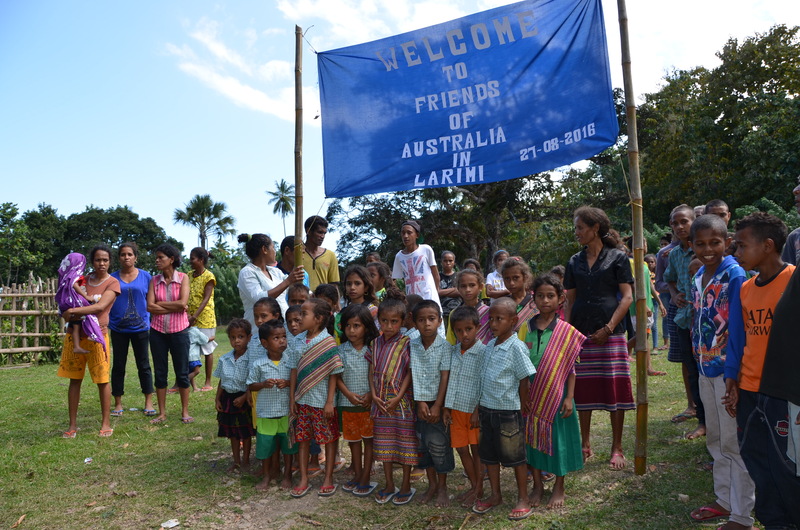 We initiated the friendship with Larimi in March 2015 after hearing of the need to support a recently established preschool in Larimi, a remote village with no road access, in the District of Lautem in Timor-Leste. We provide a voluntary level allowance for the three preschool teachers, Marta, Maria and Juvinal (pictured above with some of the kindergarten children), and funding for teaching equipment and teacher training. In September 2015, we visited the village. The wet season prevented an earlier visit. 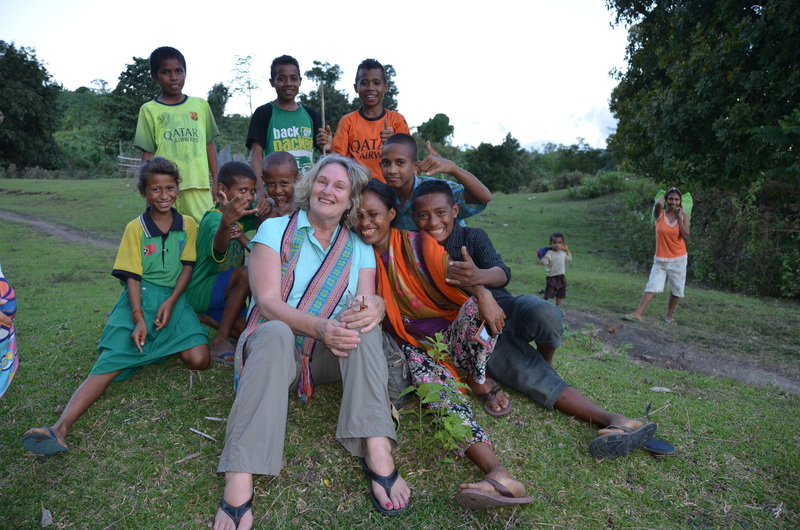 We drove for two days from the capital, Dili, to Iliomar. We then travelled by four-wheel-drive on the rocky track to Larimi. The village itself has no road access so we left our car at the closest hamlet and walked the last three kilometres into Larimi. We were welcomed by the village in a traditional ceremony with a song from the preschool children. After listening to the village elders outline their hopes and needs we have formalised a partnership with the village and we are committed to projects in addition to the preschool. Due to its isolation, Larimi has no electricity, running water or sanitation. We were delighted on our trip in August 2016 to hear that the village, via their PNDS grant, was to receive water piped from some kilometres up the hill. We also saw the first installation of Government funded solar panels to some homes. This will certainly make village life considerably easier. Understanding the importance of a road to the development of the villagers’ lives, we provided our own personal funds to repair the three kilometre track making it four-wheel-drive accessible. This road was completed within weeks of our visit by the villagers and has already been used by the community health nurse, and a team from Alternative Technology Association (ATA). On our trip to the village in August 2016 it was wonderful to be able to drive all the way into the village from Iliomar. We are quite overwhelmed to know that our efforts are already making such a difference. Upgrading a walking track to motor-bike accessible from Larimi to Larisula.